The PIMAX 4K VR Headset Hands On Review: Affordable PC VR For The Masses At $375? 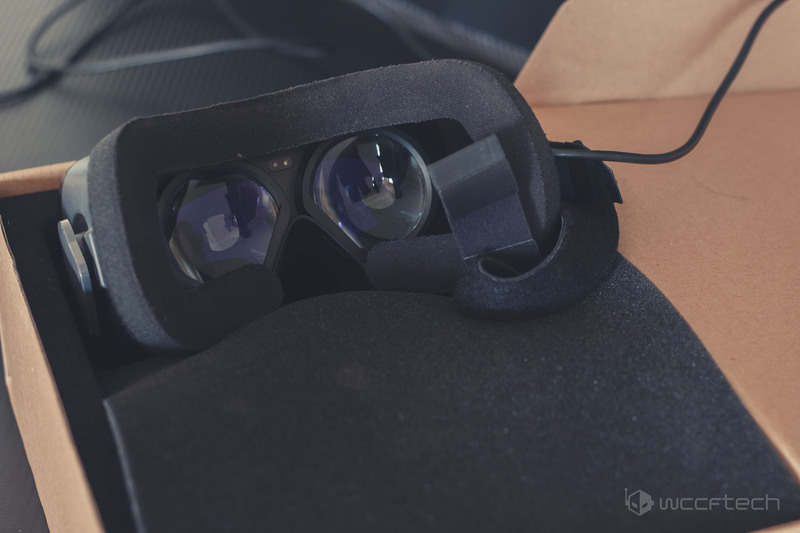 The VR industry is something that has seen a bit of a lull lately with many claiming the fad is already over. 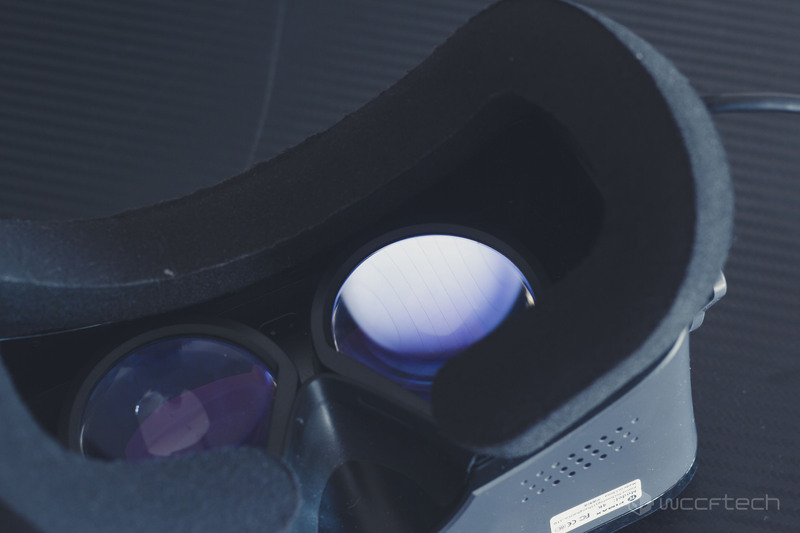 As far as PC VR goes however, the market is primarily dominated by Oculus and HTC Vive, with the former having a lead in terms of market share. There hasn’t really been a strong competitor to these two so far and many of us wondered whether the likes of Xiaomi might step up to offer a cheaper but similarly specced alternative. Well, today I have something that might just be that: the PIMAX 4K VR headset which supports both the Oculus Home and SteamVR platforms. 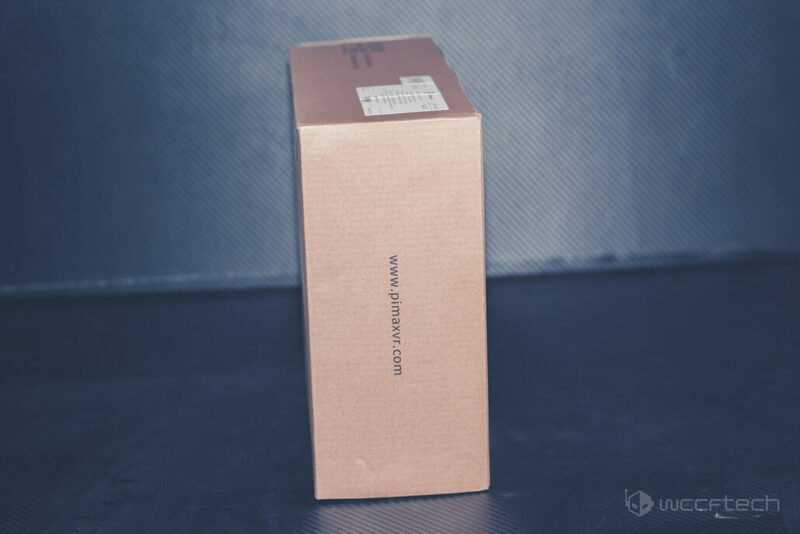 The review sample was provided to us by the e-commerce website: Gearbest which is offering a special discount for Wccftech-ians with the code: LHPIMAX. The PIMAX 4K VR headset features a minimalist and well-proven aesthetic. The PIMAX 4K is a very interesting piece of hardware as we will soon see. It was created by Pimax in China and was designed to be superior (in terms of specifications at least) to its American counter parts. Unlike the Oculus Rift or the HTC Vive, the Pimax does not use any tracking tower or base stations, it uses simple gyroscopic tracking. When I say simple, I actually mean dual gyroscopic sensors each running at 1000 Hz to provide extremely precise tracking up to 3 degrees of freedom. Basically, this headset is designed to only give you rotational tracking, positional tracking or room scale isn’t possible. 3840 x 2160 4K UHD screen resolution with 8.29 million pixels and 806 PPI. Acceleration sensor, magnetometer sensor, range sensor, light sensor with 18ms MTP. Features Auto light adjustment system, auto demisting system and blue light filter coating. I will start with a commentary on the specifications. The company claims an FOV of 110 degres although in my experience the actual measurement was short of that. The 60 Hz refresh rate isn’t actually a problem since the PIMAX uses some clever wizardry to make the image stream appear more consistent then it actually is. One of my first and foremost concerns upon hearing of the gyroscopic tracking system was a fear of inaccurate tracking or tracking lag. I am pleased to say however, that I could not have been more wrong. Tracking was extremely precise, completely lag free and never inaccurate. The dual gyroscopic design that the PIMAX employs is very much a success and eliminates the need for a tracking tower or base station (as long as you are talking about only 3 degrees of freedom in terms of movement). The lack of room scale or positional tracking is something that was at the top of my mind but I was sure that a vast majority of the “VR Experience” could be gained simply in a sitting position and being in an immersive 3D environment. 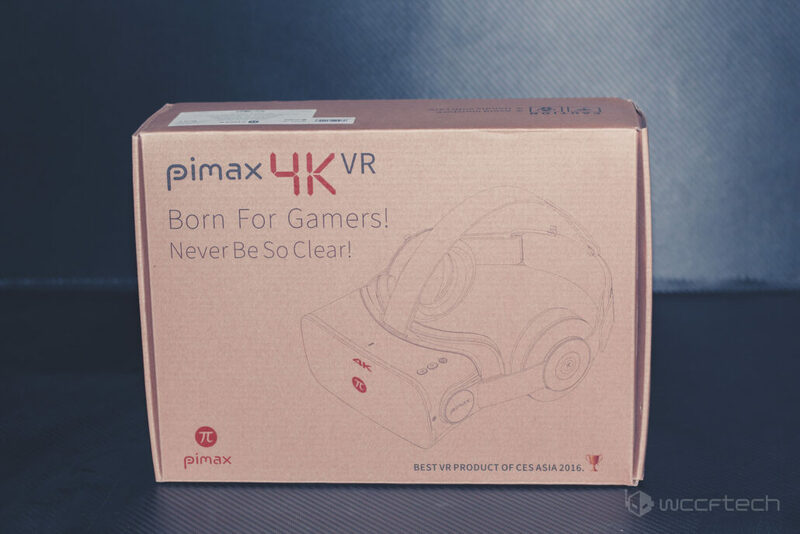 The PIMAX 4K VR headset ships in a cardboard box with the logo subtly stamped on top. 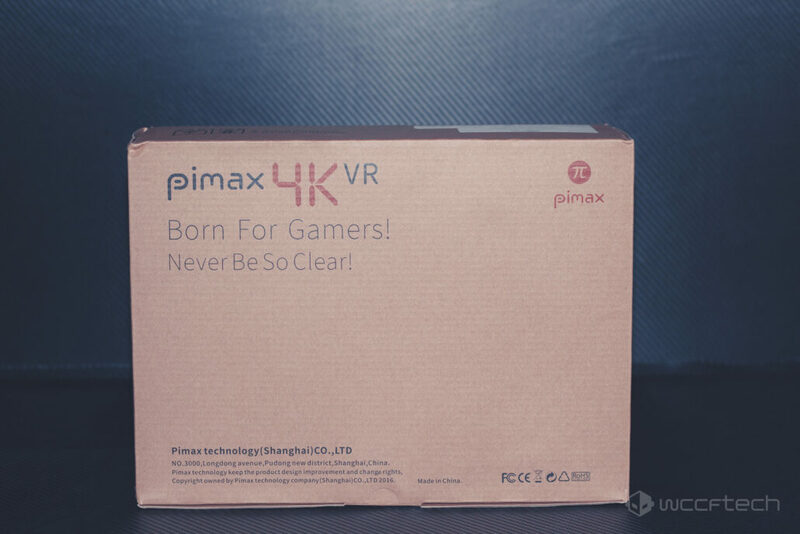 Inside the cardboard, is another cardboard box and only when you open that as well will you arrive at the final packaging of the PIMAX. 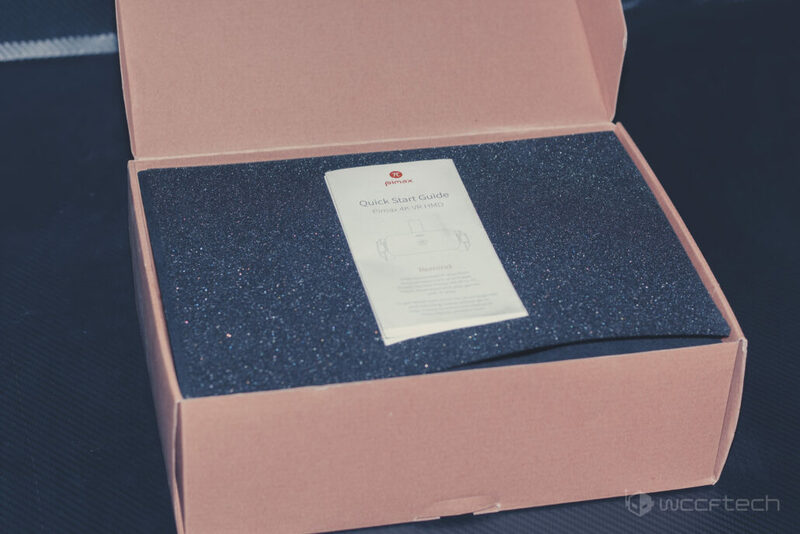 Anyone who suffers from courier handling anxiety can order with ease – although I am not sure there is anything breakable in the package in the first place. 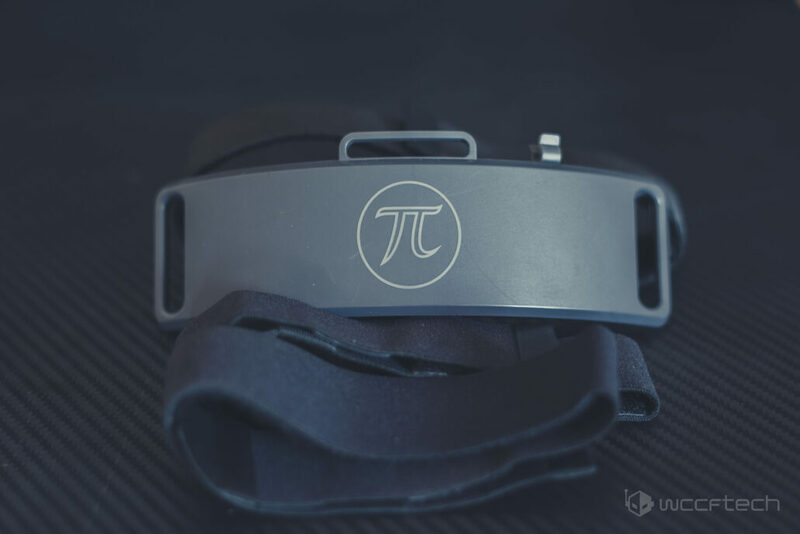 The PIMAX itself is built from ABS plastic and is very light to hold – even after coupling in the headphones. 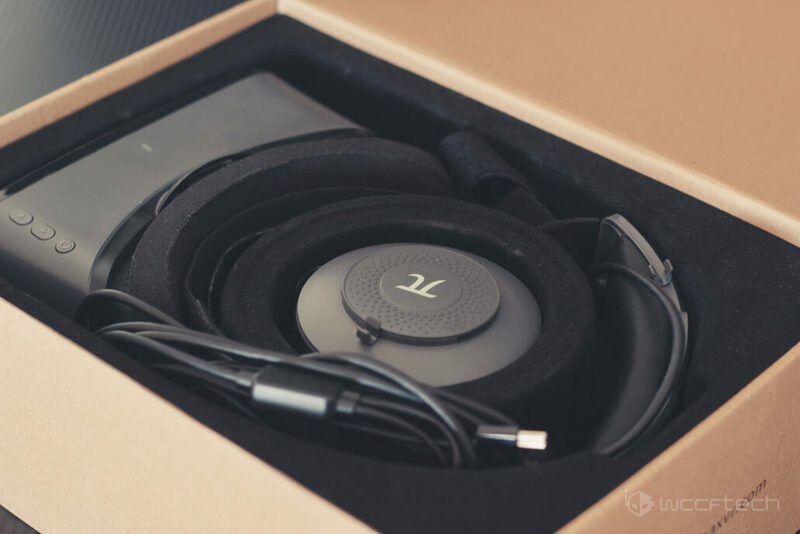 The lightness of the headset is going to be a great advantage for people who plan on using it for a long period of time. There is no individual IPD adjustment knob but there are 3 buttons on the top of the headset. These are the power button (which doesn’t really do much) and two volume rockers for the headphones. The build quality of the headset seems high enough and the lenses used are made of glass. 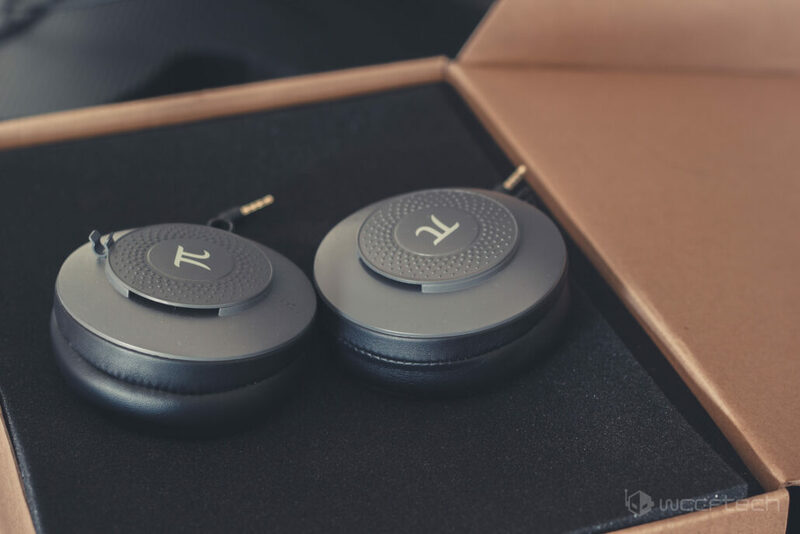 The straps look like they will be able to handle a bit of wear and tear and the headphones are comfortable to wear and deliver a surprisingly good soundscape. All in all, you are getting a pretty good deal as far as hardware goes. If I had to nitpick, I would take an issue with the foam on the area where the bridge of the nose rests, which looks like it might be uncomfortable to wear for extended periods of time and could easily have been included in. So without further ado, lets jump into the hands-on experience. One of the more annoying drawbacks of this headset, if i were to name any, is the bundled software. Or should I say, un-bundled software. Functionally speaking, there is nothing wrong with the software, its just a huge pain in the *** to set up and get functioning properly. Firstly, the software isn’t actually included in the box. You need to go to the Piplay forum and download the latest version from there. Secondly, PIMAX actually runs in two primary modes, which are Extended and Pimax Mode. To get the most out of your headset, you need to have a current generation graphics card (R9 290 or GTX 970 and above) with your integrated GPU disabled. It actually prompts you if your iGPU like most guys, isn’t disabled from the BIOS. 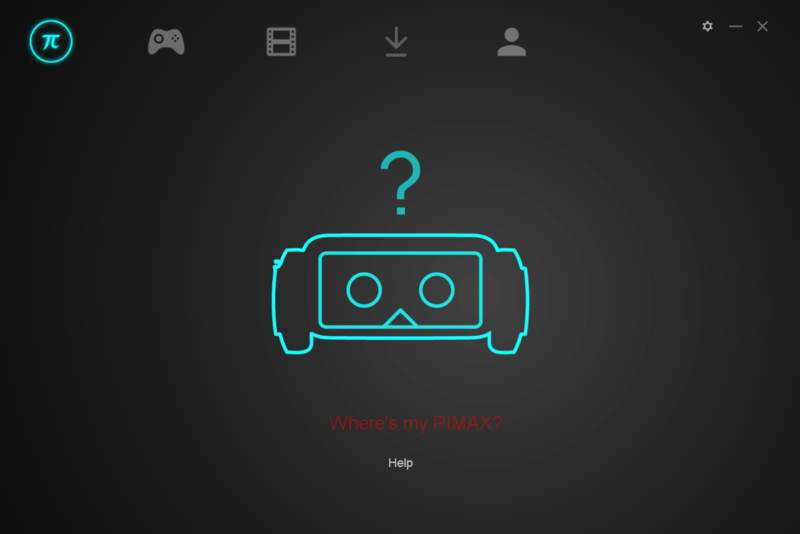 Thirdly, the first time I booted it up, it didn’t seem to want to recognize that PIMAX was connected to it at all. Only after a couple of minutes plugging and unplugging the PIMAX and then simply waiting for 5 minutes (literal time spent) did it detect the headset. Once the headset was detected, they showed the PIMAX logo and I realized that IPD adjustment was going to be another issue. The PIMAX has an auto-adjusting technology as far as IPD goes and its not very accurate. So to adjust the IPD you will need to take the way of trial and error and manually set the measurements in the PIMAX software, which I can tell you from personal experience, is an extremely tiresome thing to do. Since the IPD is changed digitally and there is no physical knob, the PIMAX reboots between each change and you can easily loose your focus to start over again. Next up you will have to install SteamVR and Oculus Home (if you plan on using that). While Piplay software is crudely made and not very polished. I must say that the compatibility layer between SteamVR and Piplay works like an absolute charm. Anything that works with SteamVR/HTC Vive will work just fine with the PIMAX. I got some of the Oculus titles to tun as well but it definitely felt like SteamVR support was more polished than the Oculus one. So I can confidently say that any titles that run via the SteamVR API will run flawlessly on the PIMAX. The same however, cannot be said for Oculus titles. While modern titles should run fine, the Piplay compatibility layer seems to have issues with older games (although that is probably due to the fact that different versions of the Oculus SDK are supported in different modes like Extended Mode or Direct/PIMAX mode while SteamVR compatibility is universal). My first experience with the PIMAX was in-fact the SteamVR tutorial, which worked fine up till the point that I realized there is a major caveat assassinated with the PIMAX – one that I had been ignoring up till now. The PIMAX lacks any motion controllers included within the package, and this will be something that will quickly become a problem for touch based games. Right off the bat, I will make something clear. My PIMAX experience with VR titles was a short and tragic affair. As I quickly realized, while it is an excellent VR headset, that is only part of the equation for VR titles and the lack of touch/motion controllers quickly became apparent. I was able to boot up titles like Alice Madness Returns and other VR titles just fine – as far as the menu at any rate. And the the 3D and headtracking worked flawlessly. Only, there isn’t anything much you can do unless you happen to have motion controllers lying around. Since that would obviously add a couple of hundred bucks to the overall price tag, this quickly becomes a sour point for the PIMAX. I would really recommend the manufacturer to include motion controllers and maybe raise the price of the PIMAX 4K VR headset a bit. There are however, VR titles, that work fine with an Xbox Controller, and that, is what this portion of the review is all about. The 4K screen of the PIMAX offered an incredibly clear rendering of the world and the Screen Door Effect was significantly less than the Oculus (and I imagine the HTC Vive as well, although I have personally never tried that) although visible if you try hard enough to discern it. 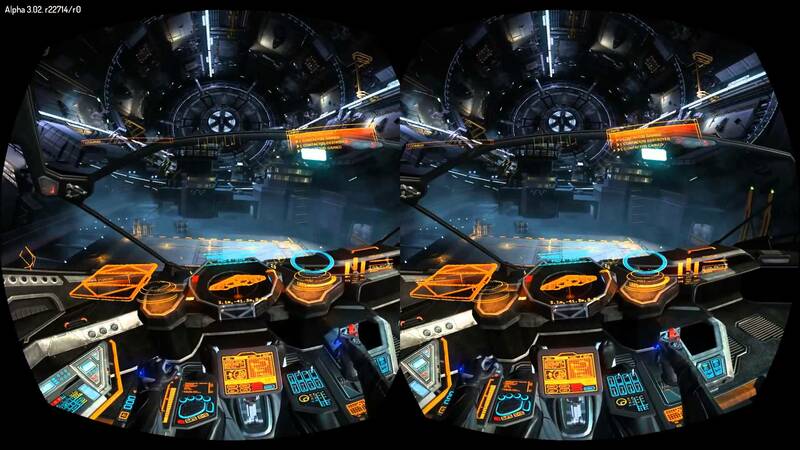 I have to say that playing Elite Dangerous on the PIMAX is an absolute pleasure. The fact that you do only need head tracking in this title and the fact that it does not require Touch or Motion controllers mean that it is one title you can enjoy perfectly with the PIMAX. Games that support PC VR as well as conventional controllers / keyboards work flawlessly with the PIMAX. As far as the 60 Hz thing goes, I personally felt no nausea and was perfectly at ease throughout the whole experience. Whatever shenanigans the Piplay software employs to keep the brain at ease clearly works. The PIMAX features de-misting technology so the lenses never got steamed up as well, and the only complaint I have is that there really should be foam padding on the part of the headset which rests on the bridge of the nose (although that can be very cheaply and easily added yourself, so should not be a reason for you to not buy the PIMAX). 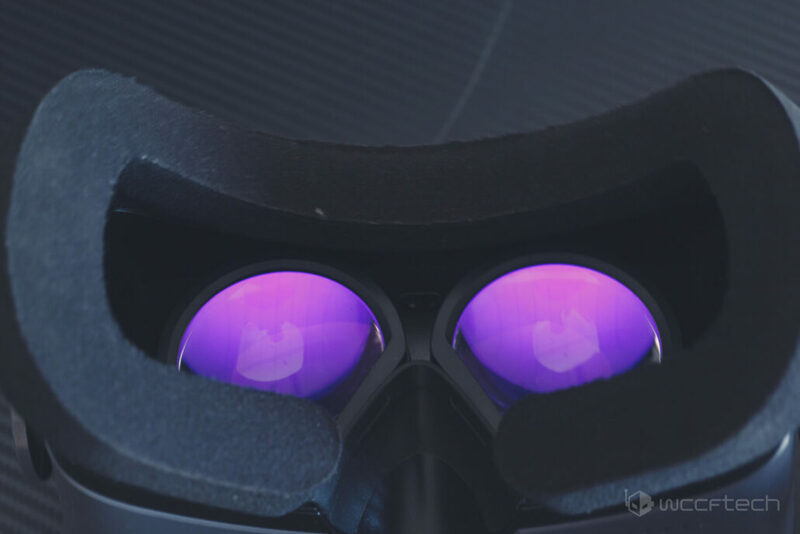 The fact that you are viewing VR from a collective 4K screen means that the immersion is amplified and the moderate sized FOV (it does not feel like 110 degrees to me, more like 80) is perfect for feeling like you are sitting in the deck of a space ship ready to blast off. While you cannot see any individual pixels, even with 4K, it feels as if the VR world could use a bit more resolution (8k or 16k?!?!). So all in all, my foray into VR titles that work with game controllers or the keyboard was a resounding success. The PIMAX clearly has a serious value proposition for people who are not interested in VR games that require touch controllers and to be honest, these games are mostly little more than gimmicks at this point. Some exceptions do exist but they are just that. I must add however, that I was not able to get third party VR drivers to work (for turning classical games like Dirt 3 into VR) although that was probably due to my in-expertise with the mattern and lack of documentation on the Internet. PIMAX includes some gimmick-y VR apps in its Piplay launcher as well although those are purely for demonstration purposes and not serious gaming experiences. Owning a VR headset is not just about gaming though. 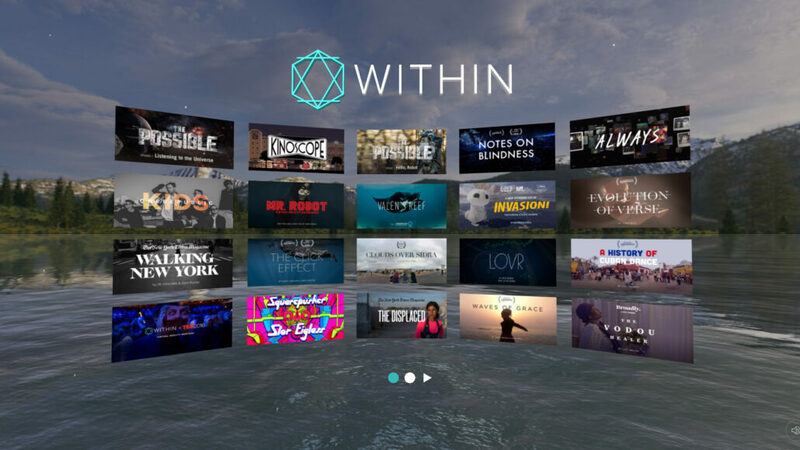 VR content includes immersive VR experiences and of course 360 videos of more than one genre (ahem). The PIMAX 4K VR works brilliantly for all of these purposes. I tested it on multiple sights that have VR compatibility and the Piplay support layer was able to patch the content through to SteamVR seamlessly. So most of the VR content on the internet will work through the SteamVR API. 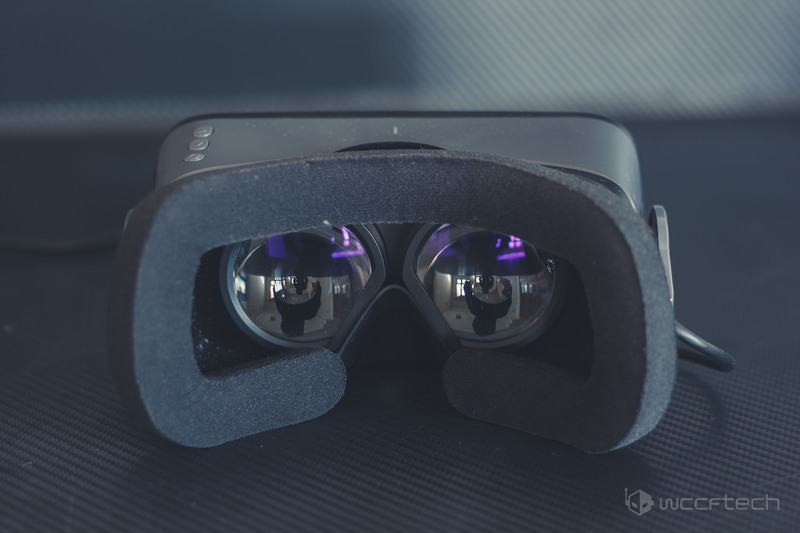 You can also view certain VR videos directly, but for that, you will need to use a virtual desktop and/or extended mode. VR Experiences, like the one offered by CERN in the WithinVR app on steam looks gorgeous. the 4K panel is really able to offer a very high quality of immersion and the fact that these things do not require any touch or motion controller support makes them perfect for this headset. In fact, my favorite use for the PIMAX so far is watching VR experiences on it (like the ones present in WithinVR) and the occasional 360 degree video on the internet. VR Experiences and 360 videos are an absolute pleasure to experience with the PIMAX thanks to the 4K screen. Since resolution matters a lot in VR, most of the stuff you will find on the internet for streaming is really poor quality. 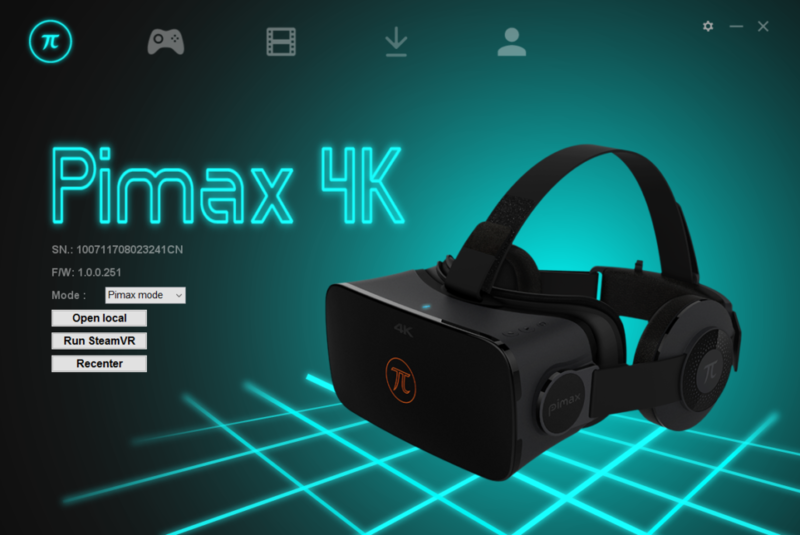 To get the most out of the PIMAX’s 4K screen you will need to download the content and play it locally using a free 360 3D Player such as SourVR Video Player. All of the 360 3D videos I tested worked seamlessly (although you have to be careful selecting Half SBS and Full SBS modes or end up with people looking like giants). VR Media is really one of the best use cases for the PIMAX and the thing I primarily use it for. It is an excellent device to view 3D videos in and virtual desktop really works wonders with the 4K screen. There is an actual sense of depth here and you quickly learn to get over the moderate FOV size. One thing I must mention however is that you will need to adjust the bands and the position of the headset (as it sits on your nose) very finely to get the best viewing experience. Why? because the anti-blue light coating they added on the lenses leads to some weird chromatic aberration if the viewing angle is not perfect. In short, if you don’t have the PIMAX adjusted perfectly, you are going to be looking at a blurry and chromatically aberatted image from one eye (or both) depending on the exact placement. The PIMAX 4K VR is a neat little headset that has a higher resolution screen than the HTC Vive or Oculus rift. But what it makes up for in terms of visual acuity it looses in terms of the lack of motion/touch controllers – which makes playing VR-only games impossible. That said, games which do not require touch controllers and VR media work flawlessly and better than the Rift or the Vive. So if VR media is your primary concern then the PIMAX will actually serve you better than either of the two giants. It even fares pretty damn well in games like Elite: Dangerous which do not require touch controllers but support VR. Whatever its faults, if there is one thing that PIMAX gets right, its the SteamVR compatibility layer – which allows you to play content that the HTC Vive plays. 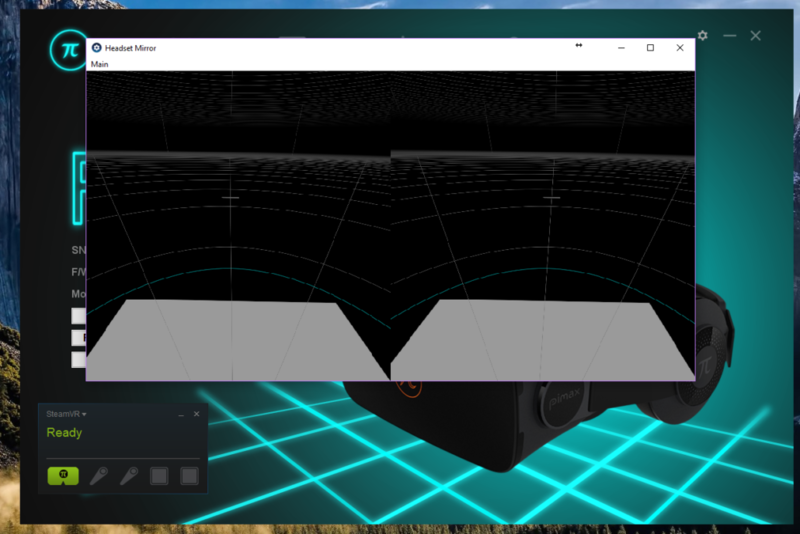 Oculus Home and apps are also supported but I had some trouble getting them to work – which might or might not be due to my inexperience with the multitude of Oculus support modes (as opposed to only one universal SteamVR mode). 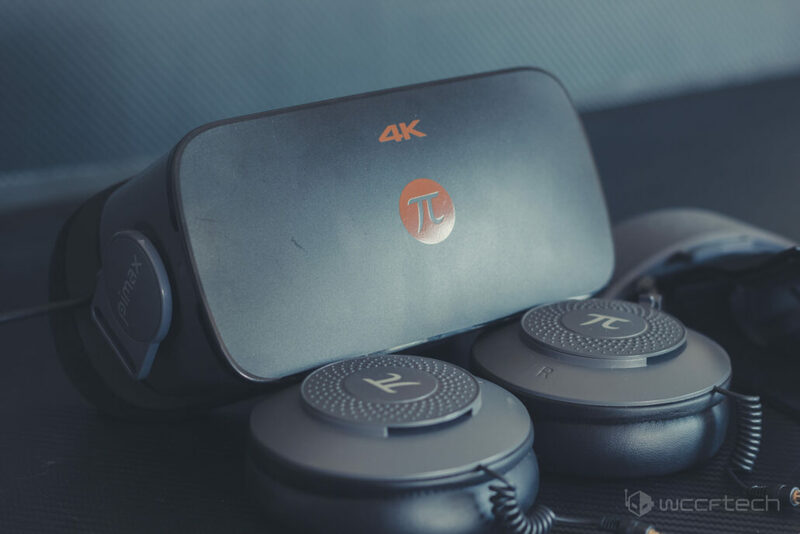 The price tag of $375 ($339 for our readers with the code: LHPIMAX) is justified enough when we talk about the high quality 4K screen and the precise tracking the PIMAX offers. But in my opinion, there should have been touch controllers provided as optional for those that want to game because to be honest, without those, the PIMAX is an incomplete experience. You can probably get the PS4’s move controllers working with the PIMAX, and while that will raise the price tag to $450+ it is still a very good deal. 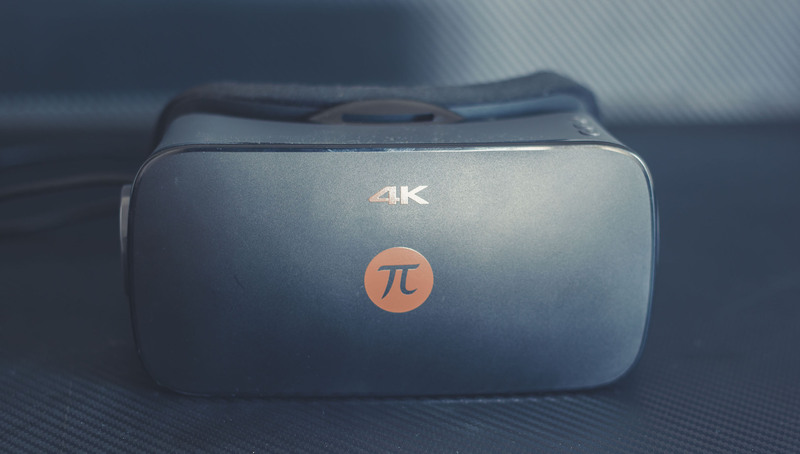 If you are able to stomach the areas its rough around the edges (the Piplay software), the PIMAX 4K VR offers an exceptional value proposition for the value conscious to-be-VR-connoisseur. 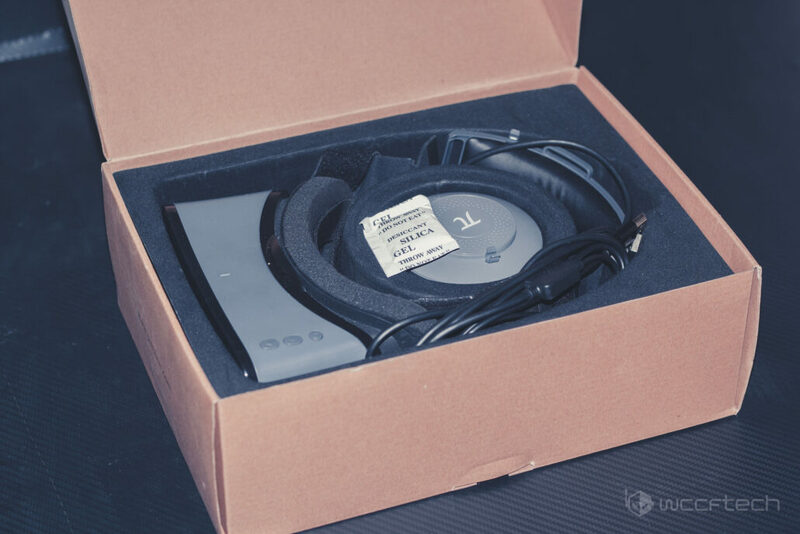 I have no qualms in recommending the headset as a good buy since it offers better VR experience than the Vive or Rift in some cases – as long as you realize that without touch controllers, there will be a portion of the experience that you will not be able to access (barring any PS4 Move Motion Controller improvisation). You can buy the PIMAX over at Gearbest for $375 ($339 for Wccftech-ians with the Promo Code: LHPIMAX). An excellent option for the value conscious PC VR connoisseur that outperforms the Rift and Vive in VR media capabilities thanks to its 4K screen but falls behind in the gaming domain where the lack of touch/motion controllers stops users from enjoying VR-only titles (PC VR titles that support controllers/keyboards work flawlessly). High resolution 4K screen with minimal SDE. High precision head tracking without any base station or tower. 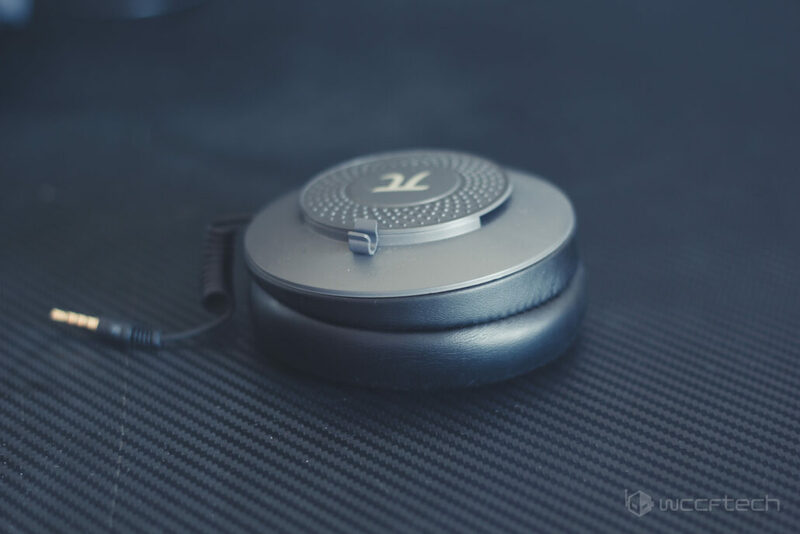 High quality headphones provide detailed, neutral audio. Seamless integration with SteamVR API. Working integration with Oculus Home and apps. Partial VR gaming capabilities (titles which do not require touch controllers). Piplay software is not polished - feels like a dev kit. IPD and band adjustment is difficult and un-intuitive. Some ghosting is visible in rapidly shifting, high contrast, scenes.